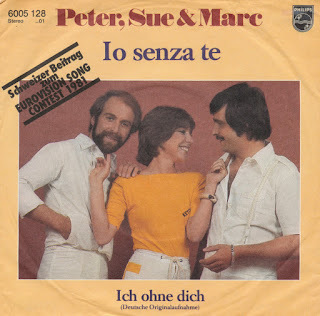 I already bought Io senza te by Peter Sue & Marc at the end of 2009 as part of a big stack of Eurovision singles. The B-side of that single featured the English version of the song. When I was in Vienna last month, I suddenly spotted the German version of that song, with the German version of the song on the B-side. Nothing wrong with a little language variation here and there, and so I bought this single as well, especially since it was so cheap (if you ignore travel fares and hotel costs, that is). It just goes to show that you never know what you find when you go shopping for records in other countries! Ordering online can be a treat sometimes, especially when you're able to combine things and get a few interesting singles together. I was a little surprised when this one arrived in a picture sleeve. 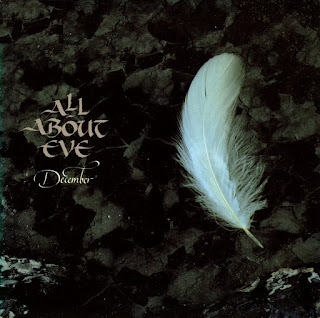 It is a promotional 7" single for All about Eve's 'December', featuring the single edit on one side and an even shorter radio edit on the other side. This track is of course best in its unedited version, but to own an exclusive radio edit is a nice addition to my already impressive All about Eve collection. Having a complete Kim Wilde collection also includes many cover versions. Through the years I have been able to identify over 250 cover versions of Kim Wilde songs, and more than half of those are cover versions of 'Kids in America'. So it really is a nice surprise when it turns out that not everyone has turned to Kim's debut hit for inspiration. The Swedish band Cotton Club debuted in 1984 with a self-titled album full of cover versions from hits between 1981 and 1984. One of them was Kim Wilde's 'Love blonde'. 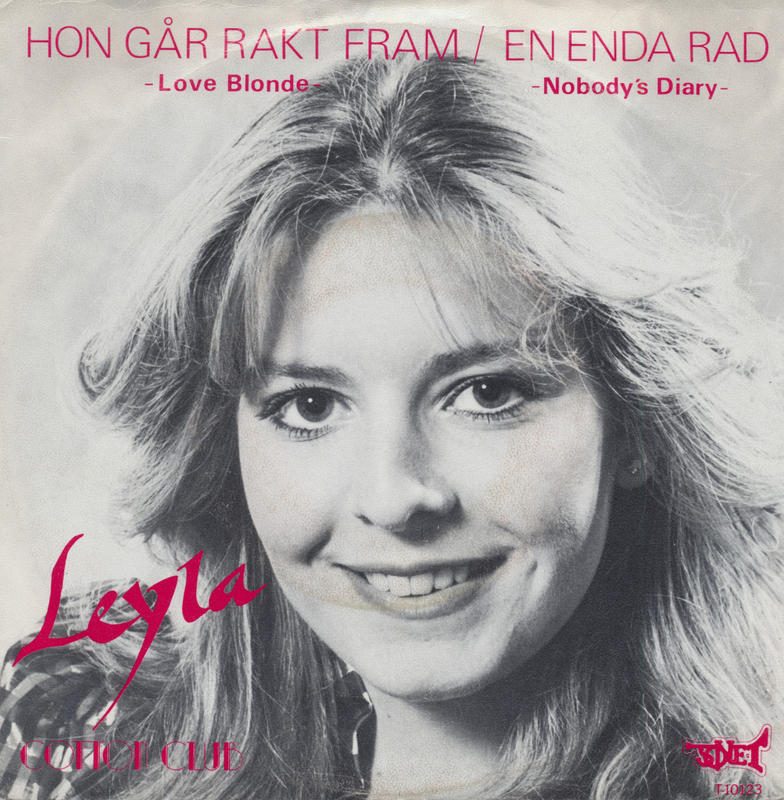 All the songs were translated into Swedish, and so 'Love blonde' became 'Hon går rakt fram'. When the track was released as a single, the record company decided to release it as a solo single from the band's lead singer, Leyla Yilbar Norgren. Keith Potger was a member of the Seekers, as the sleeve of his first solo single proclaims. The band had some success during the Sixties, until they disbanded in 1968. 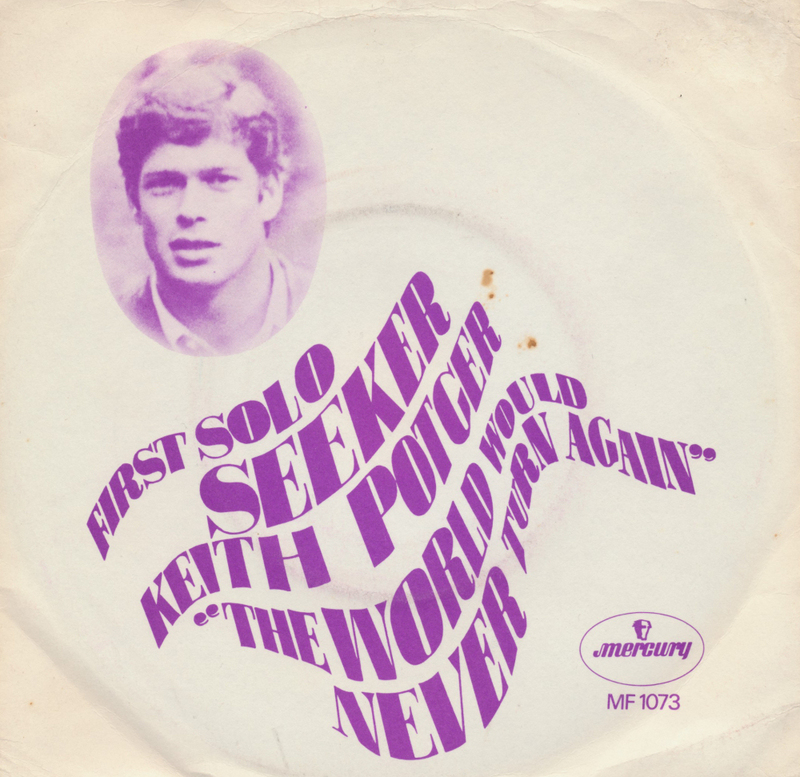 'The world would never turn again' was released the next year, and although Potger would become a songwriter and producer, this first single was written by someone else. 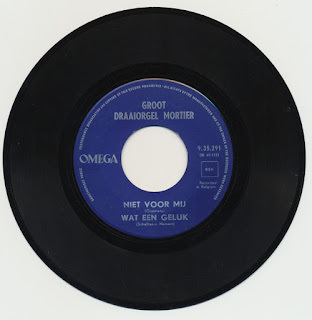 The B-side, interestingly, was provided by Frere Manston, which of course is a pseudonym of Marty Wilde. And there it is... the main reason for me to pick up this single.